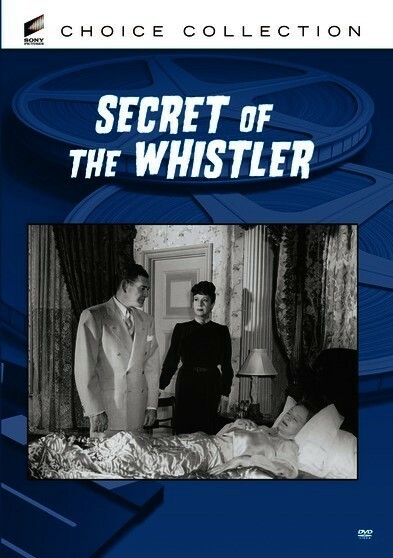 Secret of The Whistler – Ralph Harrison (Richard Dix, Cimarron) is a mediocre artist who lives off the money of his dying wife, Edith (Mary Currier, The Unwritten Code). Ralph begins an affair with a model (Mona Barrie, Something to Sing About), but when Edith suddenly starts to get better, she visits Ralph and finds out about his dalliance. Ralph devises a plot to get rid of Edith, but she has plans of her own to get revenge from beyond the grave. Starring: Richard Dix, Leslie Brooks, Michael Duane. 1946 – BW – 65 Minutes. Digitally Remasterd.